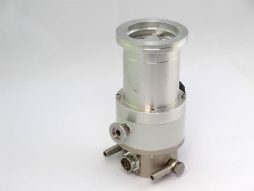 Refurbished Pfeiffer Balzers TMH065 (TMH-065) turbomolecular drag pump with DN63ISO-K flange or DN40KF flange. The foreline flange is always at DN10/16KF flange. 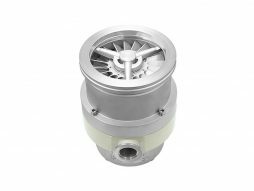 The TMH-065 turbomolecular pump is suitable for many general-purpose high vacuum applications. They are often integrated into analytical equipment. The pump is fully factory refurbished. Available from stock and sold with warranty. We also offer the optional TCP120 or TCP121 controller and interconnecting cables. 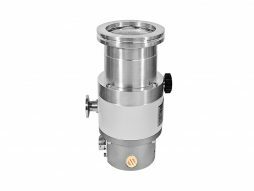 This pump is suitable for broad range of applications within the research and industrial industries. Pfeiffer Balzers TMU-071 turbomolecular high vacuum pump with DN63CF flange and DN16KF foreline flange. Model code: PMP02801 G. Pump is fully refurbished with original OEM parts and offers as new performance. 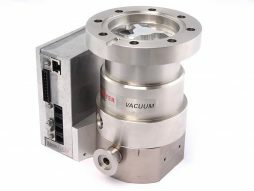 Refurbished Pfeiffer Vacuum TMU065 (TMU-065) turbomolecular pump with DN63CF high vacuum flange and DN16KF foreline flange. 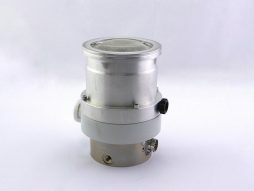 This turbomolecular pump has a free of wear permanent magnetic bearing at high vacuum side and an oil lubricated ceramic bearing at the foreline side. Its is suitable for a wide range of applications in research & industry. Refurbished Balzers Pfeiffer TPD020 (TPD-020) turbomolecular drag pump with DN63ISO-K high vacuum flange and DN16KF foreline flange. It has a pumping speed of 20 l/s. 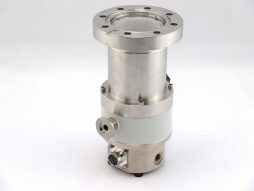 The TPD-20 is suitable for a wide range of vacuum applications. This pump has been fully factory refurbished & tested. Available from stock. If required available with controller and cable set. Refurbished and fully tested Balzers Pfeiffer TPH-190 turbomolecular pump with DN100ISO-K high vacuum flange and a DN25KF foreline flange. It offers a pumping speed of 190 liters per second (l/s). The Pfeiffer Balzers TPH190 turbomolecular pump is suitable for many general-purpose high vacuum applications.